A leitmotiv appears in all the biographical notes of Raimon Panikkar between the covers of his own books, in the encyclopedias and monographs dedicated to him: “from an Indian father and Spanish mother” or, more widespread and exact, “from a Catholic Catalonian mother and Hindu Indian father”. I can’t say when this refrain appeared for the first time, whether Panikkar himself proposed it, or someone else. What is certain is that it makes an impression. It makes one curious and fascinated. It points to an interesting destiny. Nevertheless, it casts the shadow of certain determinism. Panikkar both exploited and debunked this dual provenance, was both its protagonist and victim. It is also misleading, because it can be read as a justification: we are dealing here with someone who is unique therefore he should be treated with indulgence. Furthermore, it can be understood as an exotic note, which arouses curiosity, which makes one jealous: here is a unique man, marked from birth with a special destiny and invested with endowments not shared by others. In both cases both Panikkar and his work are lost to you. In the first case, his work is seen and treated as bizarre and exclusive, to be considered with bonhomie; in the second case, exceptional and sublime, beyond the reach of ordinary people. Certainly, in Panikkar’s life his parents played a fundamental role, as they do in everyone’s life. Perhaps Panikkar could have achieved what he did achieve even with completely different parents, or, on the contrary, with the parents he had, he could have achieved completely different things, as has happened to so many Indo-Europeans or to others of mixed ethnicity. The mystery of a man lies beyond his provenance, and in his case how he succeeded in transcending it turns out well. There is nothing obvious or easy. The question of “Indian father and Catalonian mother” must be considered attentively. The only way to unmask the refrain, which has already become a myth, is to recognize who his father and mother were and what really happened. Carmen Magdalena Alemany, born in 1895, was the younger daughter of a middle class Barcelona family whose Catalonian roots go back to the 16th century when some “alemanes” had arrived in Spain during the reign of Charles V. The Alemany family slowly integrated and solidified in Spanish society. In the 19th century there appears a musician and composer, José Alemany, as well as a Dominican religious of the same name, who, because of conflicts in his convent, departed in 1832 for America: he becomes a bishop rather active in founding churches, parishes and hospitals, in Tennessee as well as in California, participates in the 1st Vatican Council, then returns at the end of his life to Catalonia, where he died in 1887. During the course of their history, the Alemanys intermarried with families like the Sabadells and Raventós. At the end of the 19th century they appear rather affluent, to the point of being able to afford a house in the residential section of Sarrià, which extends up the hills surrounding Barcelona to the north of its historic center. The girl, besides receiving a “classical” education, typical for a young middle class girl of that period, also learned to play the piano: in 1912 she obtained her diploma from the Music Conservatory of the Barcelona Lyceum and for a short time continued advanced piano studies in Paris under the guidance of a famous maestro. With pleasure and passion she executed the music of Bach, Mozart, Beethoven, Liszt, Chopin, Mendelssohn and Granados. It is said that when her first born, Raimundo, cried as a young baby, she placed him by the piano and calmed him with her music. 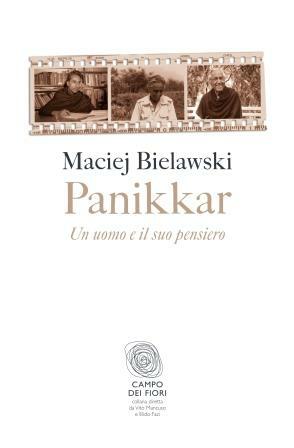 Whoever visited the elderly Panikkar in Tavertet, noticed that the picturesque mountain house was full not only of books but also of classical music recordings, to which he often listened. Between the shelves bursting at their seams in the library, he was able to find space for a grand piano, which his wife Maria played. Thinking of his last book, “The Rhythm of Being”, this scene immediately comes to mind: he, a baby in a cradle, and his mother playing the piano. Then the horizon expands and the entire cosmos becomes a cradle in which Panikkar lies, living according to his own rhythm splendidly perceived from her. Let us add yet another detail. Although his brothers and his sister learned to play the piano rather well, Raimundo himself never learned this art, which requires patience, nor did he learn to play other musical instruments. His destiny was to develop the art of words, among which can be identified the strand (sūtra), which ties together various elements: mother, music, woman and rhythm. Panikkar’s mother was, moreover, a refined intellectual. The family and cultural context in which she grew up had introduced her to the world of literature and she read with pleasure texts of Proust, Valery, Rilke, Gide, Mallarmé, Riba, Tolstoy and Tagore. Salvador Pániker, Raimundo’s younger brother, in his “Primer testamento1”, emphasizes that his mother had a true philosophical and metaphysical sensibility; she was introverted, hypersensitive, delicate, but a not very emotional; she loved honesty and freedom; in her thinking she was orderly, serious and independent. For her friends, and especially for her children, two of whom became “purebred philosophers”, the mother was a very valid conversationalist and an important reference point. In middle class Catholic Barcelona at the turn of the 20th century she made up her own mind and acted independently. One of her most courageous and revolutionary existential acts was precisely her marriage. Menakath Allampadath Ramuni Pániker was born to a noble family in 1885 in the village of Karimba (Karimpara) in the present district of Palakkad, in southern India. His given name and surname appear slightly differently modified: Ramunny Panicker (this way even today in Kerala), Don Ramón Pániker (in the Barcelona necrology of 1954), but also Ramón Pániker, Ramun Pániker or Ramuni Pániker. The surname Pániker comes from the Sanskrit pariŋāyaka, which means ‘leader of warriors’, and in a more original and less westernized version of the Malayalam of Kerala, it could also be written precisely Panikkar, the form that the philosopher of Tavertet would later adopt for himself. Since Ramuni Pániker belonged to a noble Hindu family, he was able to afford scientific studies at the Presidency College of Madras, a respectable institution in good standing founded at the beginning of the 19th century, which even the Duke of Edinburgh visited. One of the family stories relates that Ramuni Pániker’s father, wanting to accompany his son who was going to Madras for the first time, and acting like a true nobleman, procured first class train tickets. Unfortunately, India at that time being an English colony, an Indian was not permitted such luxury and the two passengers were forcefully moved to the third class car. It is said that because of this humiliation Ramuni was converted to the cause of his country’s independence from colonial dominion. In 1904 Ramuni Pániker was awarded the gold medal in Chemistry, while the famous future Indian scientist, C. V. Raman (1888-1970), obtained the gold medal in Physics. Probably because of this prize Ramuni Pániker received a scholarship to study at the University of Leeds to continue his studies in chemical engineering in England. In 1904 the university was opened up to women, non-Europeans and non-Christians by royal law, and in search of students located and selected young Pániker. At the age of 19 Ramuni married 13-year old Kalyni thanks to a marriage arranged by their families, which was normal for India at that time. When the young student embarked on the ship, which was to take him to Europe, his wife was in her third month of pregnancy. The young couple thought that their separation would last only several years. Instead, Ramuni Pániker never returned to India, nor did he ever see his wife again or ever know his son, Madhava Menon. After arriving in Europe, the young Ramuni completed his education at Leeds, then perhaps in London and in Heidelberg, became a chemical engineer specializing in the leather industry. He found work at first in London and then in an English factory headquartered in Germany. He was active, energetic, an expert in his field and an enterprising businessman with a talent for languages. He could sit anywhere he wanted on the train in Europe. He was a British citizen and an Indian aristocrat, a young man out to conquer the world with sterling in one pocket and a cigar in another. The elderly Panikkar related that his father was involved in the Indian independence movement. But here facts mix with legend and today our knowledge about this is approximate. It is said that Ramuni Pániker, together with other fellow patriots, founded in England The Indian Guild for Science and Technology, an organization which, on one hand was supposed to promote the development of science and technology in their country (for the young men who belonged to it, it seemed to be an important support for the independence and the fertile future of their nation). On the other hand, it constituted a clandestine organization disguised as a stimulus for science and technology, but was agitating on the political and diplomatic level. It tried to involve Russia and the Austro-Hungarian Empire against England in India - a delicate task, considering that the members of this organization were British citizens and could very easily have been accused of conspiracy and treason. In any case, even Ramuni Pániker was somehow implicated in this political activity and it is easy to imagine that his business trips could serve as a cover to camouflage some machinations. Actually, a pinch of espionage won't spoil the story. There is a subtle strand accompanying all this, which ties it to the figure of Gandhi. Panikkar relates that his father was one of the protagonists in the Indian patriotic movement, but when the figure of Gandhi appeared on the horizon, he left the position to him. Did he consider him superior? Did they have diverse ideas? In any case, when India had already become independent (1947) a position in the first Indian government was offered to Ramuni Pániker but he refused the proposal with the justification that he was married and residing in Barcelona. In truth, at that period he was already ill and perhaps it was really his illness that was the primary reason for his refusal. Ramuni Pániker had a British passport and was working for a German chemical company. But the outbreak of the First World War put his professional activity and presence in Germany in crisis. Elsewhere it is related that because of his anti-colonial, and thus anti-British activity, he was expelled from England. In any case, as a representative of the German Chemical Company and as a British citizen, in the summer of 1916 Ramuni arrived in Spain, a country maintaining neutrality in the war. In the account written by Salvador Pániker, his father came to Spain on vacation, bought a motorcycle and enjoyed driving around the country. Others, on the contrary, maintain that he came to Spain almost as a fugitive, a poor man in miserable condition. In any case he remained in Barcelona because he liked it there and he had found lodgings in an apartment placed at his disposal by the Alemany family on Bonanova street in Sarrià. Here he met Carmen Magdalena, the younger daughter of the mistress of the house, and they fell in love. The meeting of 30-year Ramuni Pániker and 20-year old Carmen Alemany and their falling in love seem worthy of a novel or a film of that period. An Indian in Barcelona…sounds good! He, an exile, sensitive and introverted; she, robust, effulgent and gallant. He, with a penetrating look when he raises from his book of the poetry of Tagore, she, inviting him to a luxurious restaurant in Barcelona. Piano music in the background. European middle-class values and the provocative fascination of a foreigner. But let’s leave these fantasies to novelists and get back to the facts. Without a doubt, the marriage of Carmen to Ramuni was a shock for her family. There is no wonder that the entourage of the young woman in love was unfavorable and they considered her crazy. A foreigner, a man of color, non-Christian and penniless, expected to marry the daughter of an important middle class 1916 Barcelona family: it must have been a serious problem. In addition, this man, even if he possessed a British passport and very English behavior, had a wife and son in India, whom he had not seen for more than ten years. Carmen’s family said: “Don’t marry this foreigner. Sooner or later he will abandon you”. But she was not to be intimidated and he was attentive and convincing. He had written a letter to his Indian wife in which he explained the whole situation. His wife responded: “If you can be happy by marrying this girl, do it. I will take care of our son”. But in order to get married the two lovers would have had to overcome several legal and religious obstacles. I suppose that Ramuni, on the basis of the letter received from his Indian wife, was able to obtain the necessary divorce through the mediation of the British consulate in Spain. At that time, however, civil marriage did not exist, and it was obligatory to marry in church. In order to do that it was necessary to be baptized. Ramuni, with all the nonchalance of an Indian, allowed himself to be sprinkled with holy water by a priest, who then scrupulously transcribed his name in the church registry. Participation in the sacrament did not make Ramuni a convinced Catholic: it remained a rite to which he adhered in order to marry his beloved Carmen and to please the gabble of the family and of society. After that day he rarely set foot in church and for his whole life continued to declare himself a Hindu. In order to understand his behavior, one must leave the Western-Catholic mind-set and enter the Indian perspective, usually more tolerant and pluralistic in religious matters. In other respects, the Catholic priests were not very concerned about the fate of the Indian wife and the son, considering that they, being of another religion, were no longer “valid”, that is, binding for anyone who had become a Christian. Raimon Panikkar, from the Catholic theologian’s point of view, would explain this situation by referring to the so called “Pauline privilege”, described in the first letter to the Corinthians (7,12-16), which maintains that a marriage between non-Christians can be dissolved f one of the parties becomes a Christian: “To the rest I say (not the Lord): if a brother has a wife who is an unbeliever and she consents to remain with him, let him not put her away; and if any woman has a husband who is an unbeliever and he consents to remain with her, let her not put him away. For the unbelieving husband is made holy through his wife who is a believer, and the unbelieving wife is made holy through her husband who is a believer. Otherwise your children would be unclean, whereas in fact they are holy. If the unbeliever wants to separate, however, let him separate. The brother or sister is not bound in such cases: God has called you to peace! For how do know, woman, whether you will save your husband? Or how do you know, husband, whether you will save your wife?” It is a strange juridical rule, which permits either spouse that has formally become a Christian to abandon a husband or wife. On the other hand, the following verse from Paul’s letter affirms that a baptized person can even remain tied in matrimony with a non-Christian spouse in the hope that the unbelieving spouse may become a believer in the future. In either case it is a law that favors Christian membership to the detriment of the non-Christian bond. Today we are not able to reconstruct all the theological explanations and the legal justifications of canon lawyers who made the whole situation possible; the fact remains that Ramuni Pániker, the man who came from the East, and Carmen, the girl from Barcelona who loved to play Chopin, were married and became man and wife. Ramuni Pániker began to work and based on his knowledge, experience and talents established a chemical factory dealing with leather and glue and managing a store as well. Thus at the Catalan market one could buy “Pániker – Cola Universal Avión – Para tra- bajos de bricolaje, decoración, automóvil, ebanistería, mueble, tapicería, marroquinería, calzado, etc”, which was selling well promoted by the “poetic” advertisement: “Lo que Pániker pega, pegado queda”. Ramuni succeeded in being included in the industrial world of the Catalonian capital, which was in full bloom and made Barcelona the production center and the market toward which all of Spain merged. He also conquered very soon the trust of Carmen’s family into which he had brought the major human warmth, affection and well-being. It is said that his mother-in-law was very fond of him and held him in high esteem. In the course of ten years Carmen and Ramuni had four children: Raimundo, Mercedes, José Maria and Salvador. Could a portrait of the family in this period be attempted? I have several images in mind that I will attempt to sketch without many interpretations, and also questions without answers. The wife obviously remains at home, lives in the neighborhood where her family also lives: after her first miscarriage, she gives birth to her four children; reads les belles lettres, reflects, plays the piano and every once in a while accompanies her husband during his trips (Salvador Pániker relates that he was conceived in Prague.) The father, occupied with business, is an elegant man, gets around the city by taxi, is known as don Ramón, frequents the Turkish baths and the British Club; has the gallant manners of an aristocrat, loves to smoke cigars and is a bon vivant. The parents speak Castilian at home, but the mother reverts to Catalan with her children, whereas the father never speaks English or his native Malayalam. Since Ramuni is perfectly Europeanized, for the most part he doesn’t talk about India, even though he has maintained some contacts and follows the historical events of his native country. Salvador Pániker recounts that persons more diverse than his parents could not exist. Water and fire. The introverted and hypersensitive character of his mother and the extroverted enthusiasm of his father, Carmen’s refined reading and Ramuni’s passion for chemical substances. For him her piano was only useful as a place to put his cigars. Carmen was an independent philosopher, Ramuni a bizarre improvising linguist: he undoubtedly spoke with a marked accent. She was a rather emancipated and liberal Catholic for that epoch, even though she was always at home; he, a Hindu uprooted from his origins, who perhaps every now and then read in the eyes of others his condition as a foreigner. Raimon Panikkar’s father was not often present at home and didn’t have much influence on the education of his children. Even without bringing ideas that were too “Indian” to the family and liking only once in a while to read poems of Kālidāsa in Sanscrit, his life was permeated with a subtle Indian perfume, which, although imperceptible, spread everywhere and marked the lives of his children. The firstborn Raimundo in time showed himself to be the perfect union of his parents, uniting in himself the philosophical and speculative side of his mother with the vivacity and overflowing emotion of his father. Mercedes and José Maria inherited their father’s practicality, whereas Salvador was more like his mother: introverted, sensitive and reflective. There is one thing that is not that important, but nevertheless it arouses our curiosity. It concerns Raimon Panikkar’s birth, or rather, the two different dates that appear in the official documents. The birth certificate issued in May 1964 from Barcelona city hall number 11 confirms that Raimundo Pániker Alemany, son of Ramon and Maria del Carmen, was born in this city on the 2nd of November 1918. But another document issued (still in May 1964) from the Indian Embassy in Rome, affirms that Menekkath Allampadath Raymond Panikkar, Indian citizen, with passport number 616233 issued on 25 May 1960, was born on the 3rd of November 1918. Let’s set aside the different given names and surnames, which could lead one to suppose they represent two distinct persons. Nonetheless, we are dealing here with two different citizenships. But let’s at least resolve the two different dates and try to establish, possibly, the day when he actually was born. When Carmen Magdalena gave birth to her firstborn in her family’s house in Sarrià, no one was keeping their eye on the clock. It was late night that 2nd of November 1918 so our Raimundo was registered the following day in the Spanish offices. In the family, however, it is related that Raimundo had been born exactly at midnight. But does midnight mean the 2nd, or is it already the 3rd of November? Perhaps at a certain point Panikkar didn’t like being born on the day the liturgy of the Catholic Church commemorates all the deceased, for which reason he forcefully maintained that midnight meant the 3rd of November. According to the Barcelona documents therefore, Panikkar was born on the 2nd of November, but he himself once in a while maintained being born on the 3rd,, as recorded in other official documents and contradicting the date preserved in the commune of the city where he was born. With time and the strength of self conviction he probably persuaded himself that he was born on the 3rd of November and perhaps forgot that in the official documents another date existed. Panikkar was an unusual person who modified his own registered data: his given name, his family name, his birth date, as if to say “It is written that way, but I tell you…”. By so doing did he intend to correct his past or rather, try to participate in an active way with his own destiny? Playing with reality in the perspective of advaitic dynamics, with which he was to become passionate in the future, one could say said that since he maintained being born exactly at midnight, he was born either on the 2nd or the 3rd: therefore Panikkar was the son of midnight, son of a Catalan and an Indian, son of advaita - all to the desperation of historians and biographers. But at Tavertet, by now an elderly man, he would celebrate his birthday on the 2nd of November. Once the family was settled, the father left again for Barcelona in hopes that the military upheaval in Spain wouldn’t last for a long time in order to begin again taking care of his factory. In the autumn of 1937 the mother also returned to Catalonia with her two smallest children, José and Salvador. The older ones, Mercedes and Raimundo, remained in Germany where they enrolled in the University of Bonn to continue chemistry studies. Raimundo would see his own home in Barcelona only after the war, in the summer of 1939. That’s practically all we know based on documents and testimony available up to now. The general picture of this period of Panikkar’s life permits us only to extend several questions and at the most to follow intuitions, which certainly have a very relative value, but at this point are our only recourse, and nothing impedes us enhancing them. The young 18-year old, who had just begun chemistry studies at the University of Barcelona, perceives the real danger of death for himself and those close to him. Chaos, tumult, shooting in the streets. Flight, panic, concealment. Days of waiting. Delusion, because it seems there is no end to it and it is necessary to be constantly running away. The ship leaving the port as all of them lean against the railing look at the city and try to catch a glimpse between the hills of the home they have abandoned and don’t know if or when they will see again. The insecurity of a trip that is far from being tourism. Cities like Marseilles or Paris, which in other circumstances would have been admired, are now only stop-overs on the way to some hidden refuge and temporary accommodation. Fear makes the world seem unattractive and unfriendly, the chaos of war is a far cry from harmony and serenity. Life appears to be a challenge from which even their parents can’t protect them. When their father left them at Siegburg in order to return to Barcelona, it was up to Raimundo, the oldest son, to take on responsibilities. Could he do it? A new country, a new city, new friends, a new language to learn. In the future Panikkar would speak German very well, perhaps it is the language in which he could best express himself, or in any case knew best. It is precisely during this period that a great chapter opened up that could be entitled “Panikkar and the world of the German language”, a period that would have fertile continuation for decades: Michael Schmaus, Karl Rahner, Martin Heidegger, Hans Urs von Balthaasar, Bettina Bäumer, Joseph Ratzinger, and more generally Bonn, Munich, Salzburg, Zurich… are important stages on his path. But on the other hand, this was also Nazi Germany, in whose streets people greeted each other with «Heil Hitler» and groups shouted «Sieg Heil». But the themes of Nazism, Shoah and 20th century totalitarianisms in their historic dimensions would be neither central nor crucial in panikkarian reflection. It was as if he had by-past, or perhaps didn’t want to be associated with the rather numerous chorus of thinkers, philosophers and theologians who went on continuously discussing these topics. I’m still thinking about Panikkar as a student who was beginning to live outside the family nest, in a foreign country. What did this mean for him, who was half Catalan and half Indian and lived in Germany with a British passport? A complexity of elements which introduce the question of identity. It is said that precisely in Bonn, along in addition to the chemistry studies, desired and paid for by his father with the objective of having them later in order to collaborate in the family business, Raimundo began to develop a considerable interest in philosophy and theology, fields for which Germany was fertile land. His sister Mercedes relates that precisely during this period Raimundo not only had a marked propensity for philosophy, but also was seriously thinking about the priesthood. Is this true, or are these only projections of the future, i.e. a way of thinking that in light of following events, read and interpret events, which would occur later? Surely Panikkar was “well” situated in Bonn in general, but I couldn’t say whether this was due to the cultural atmosphere, or the chance to study, or friendships or even the opportunity to be far from home with relative independence. At the end of January 1939 General Franco entered Barcelona putting an end to the civil war. The price had become high: over half a million victims, a devastated country with an open wound and difficult to restore to health. Because of the strong Republican presence precisely in Barcelona and in Catalona, where the resistance had exerted the longest opposition, the repression of the new regime with General Franco at the head, was the harshest. The Catalan language was prohibited for decades, emigration impoverished the population and culture slid into decadence and poverty. Having completed the spring session exams Panikkar decided to spend summer vacation in his native locales. After three years of absence during which the city and the country had undergone drastic changes, he returned home. But he wasn’t in a hurry. He took his bicycle and traveled from Bonn to Barcelona. It must have been an adventure worthy of a diary, a narration, a film, especially if you think of the historic moment during which it happened: the civil war in Spain had barely ended and in only a few weeks the Second World War would break out. The young student Panikkar pedaled through the roads of France without knowing that he would not return to Bonn that autumn to continue his studies.